Immaculate Mid-Century Masterpiece! Magnificently updated in the beautiful neighborhood of Sunmor Estates. 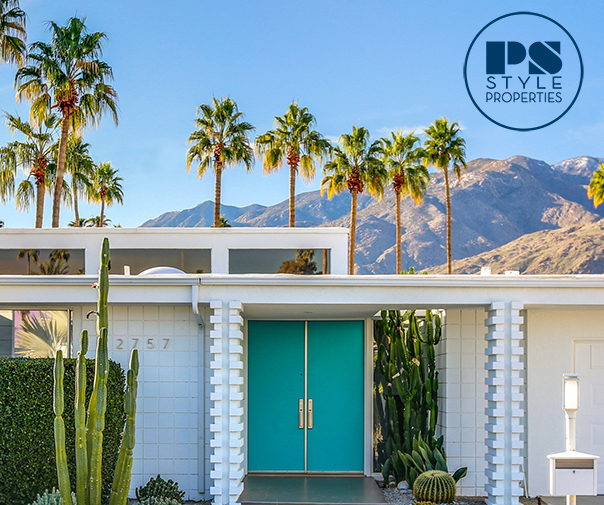 Located in central Palm Springs, this spacious bright 3 bedroom 4 bathroom 2,937 square foot mini-estate is nicely situated on a 10,454 square foot lot with gorgeous views of the Western Mountains from almost every room in the house. This open concept living plan has a step-down family room featuring a spectacular fireplace and large windows that look out over the pool. This property is comfortable, contemporary and endlessly sophisticated. Beautifully remodeled kitchen, large living room and dining room with it’s own fireplace, upscale and refined living room with a full bar, and a Master suite opens to the backyard and just a couple of reasons this home is absolutely breathtaking! The entertaining opportunities are endless! Come experience this home in person! Courtesy of JOSE DIAZ at REALTY 24 SEVEN. The information being provided by CARETS (CLAW, CRISNet MLS, DAMLS, CRMLS, i-Tech MLS, and/or VCRDS) is for the visitor’s personal, non-commercial use and may not be used for any purpose other than to identify prospective properties visitor may be interested in purchasing.